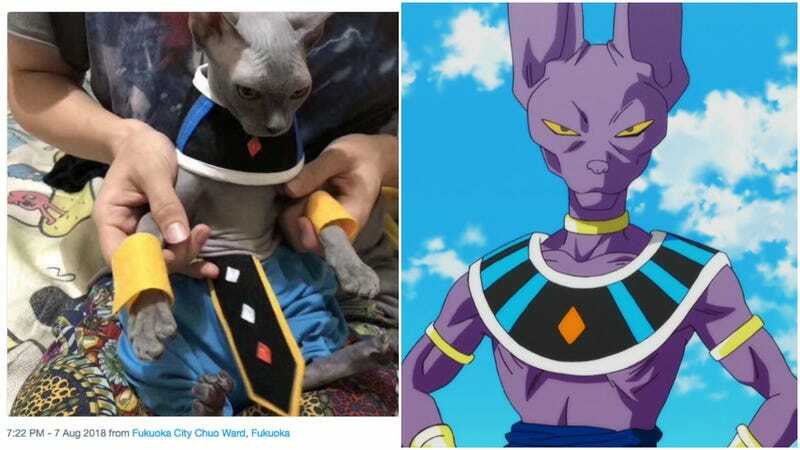 There is no need for anyone anywhere to ever do a Beerus cosplay again. Twitter user Sun_ikuto posted this photo of his friend’s cat cosplaying as Beerus. It’s no accident that this feline friend is such a good Beerus. Akira Toriyama partly based the character’s design on the Cornish Rex cat he had at the time.